Sometimes it just takes one look to know that you want to stitch a particular canvas. I spotted this one as we unpacked the Alice Peterson trunk show and had to have it. My hope was to use bright shiny, sparkly things and a variety of stitches and techniques, but to still make it a piece that doesn’t require months to stitch. So far, I’ve loved every choice I’ve made (knock wood) and haven’t had to rip anything out. 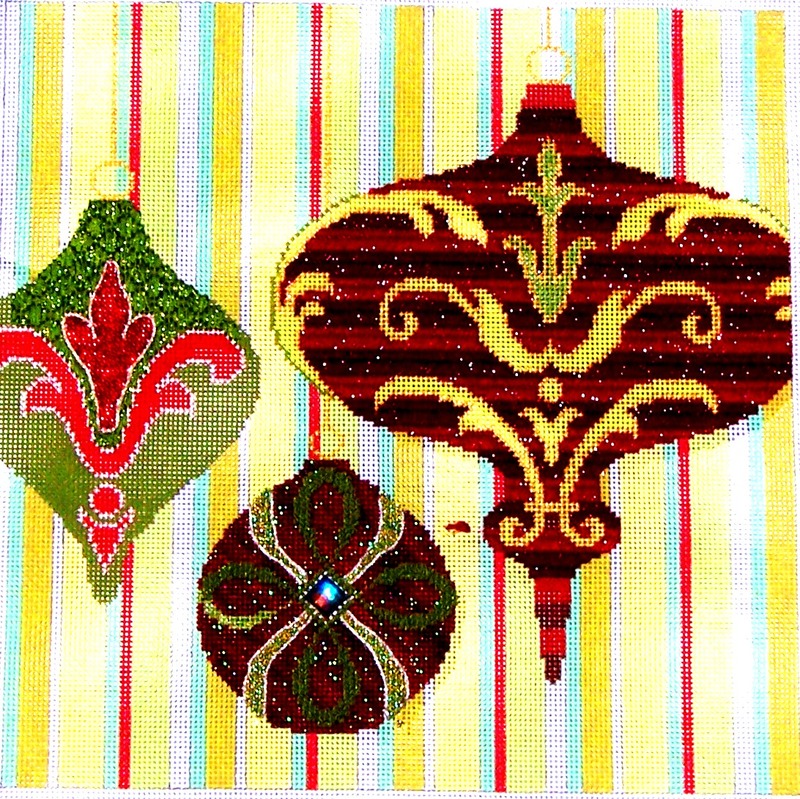 When I am finished, the stitch guide will be included with the thread kit. I think the canvas and threads may have you singing a few Christmas songs as you stitch. There are so many wonderful canvases from Alice Peterson that it’s hard to just pick a few. I love her children’s canvases–they are fun and even educational. My favorite in the bunch is the Fairy Tales canvas–it would be fun to stitch and can be appreciated by all ages. You can play “find your favorite fairy tale”–fun for all! 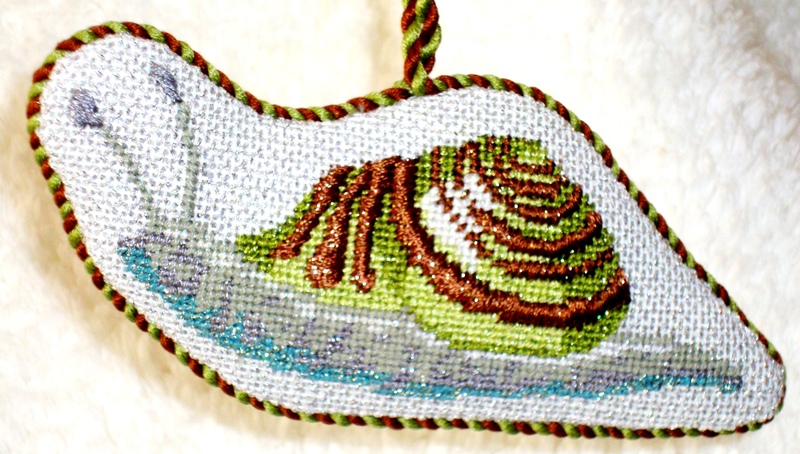 The Christmas Snail from Kirk & Hamilton is back in plenty of time to hang on the tree. You do have a Christmas Snail don’t you?